Target signs of aging with the Protect & Perfect Intense Day Cream SPF30; a luxurious formula that hydrates the complexion, while delivering an array of anti-aging benefits. The rich moisturizer effortlessly massages into skin, enveloping the visage in a veil of instant and long-lasting moisture. 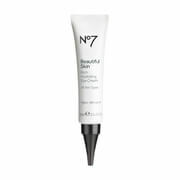 Utilizing No.7’s most concentrated peptide technology Matrixyl 3000 Plus™, the potent formula boasts the power to reduce the appearance of even deep lines and wrinkles. 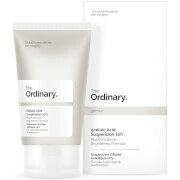 The innovative day cream also combats loss of elasticity to leave the face firmer and more supple in appearance. Complete with SPF30, the luxurious day cream utilises broad spectrum protection to protect skin from future signs of aging. Expect a calm and comfortable complexion that appears smooth and youthful. Aqua (Water), C12-15 Alkyl Benzoate, Glycerin, Alcohol Denat., Cetearyl Glucoside, Cyclopentasiloxane, Dimethicone, Cyclohexasiloxane, Tribehenin, Cetearyl Alcohol, Methyl Methacrylate Cross-Polymer, Ammonium Acryloyldimethyltaurate/VP Copolymer, Phenoxyethanol, Tocopheryl Acetate, Potassium Cetyl Phosphate, Dimethiconol, Parfum (Fragrance), Methylparaben, Ethylparaben, Sodium PCA, Xanthan Gum, Alcohol, Zinc PCA, Ascorbyl Glucoside, Tetrasodium EDTA, Magnesium PCA, T-Butyl Alcohol, Dipropylene Glycol, Hamamelis Virginiana (Witch Hazel) Water, Potassium Hydroxide, Manganese PCA, Simethicone, Potassium Sorbate. I keep reordering this item. It is so creamy and so moisturizing. Love the fragrance too. Very subtile and clean. 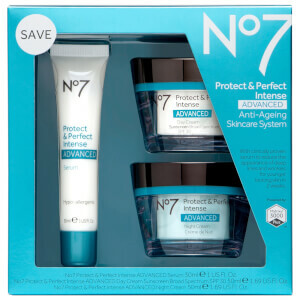 I am unable to use Boots 7 Protect & perfect intense with sunscreen Broad Spectrum SPF 30 as my eyes are watering and become scratchy and very uncomfortable. Am I able to return this product for one with a lesser SPF? 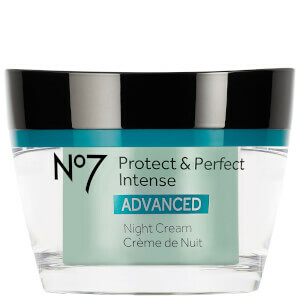 I truly love the texture and fragrance of this cream. It confers moisture to skin all day long without making it shiny and skin does feel smoother, brighter and younger even after you remove it. 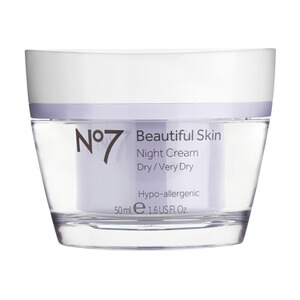 This is a wonderful moisturizer that really does the job. It feels soft and airy but hydrates amazingly well. My skin is feeling better every day! 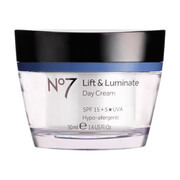 I've been using No7 intense day cream. I love it . It's just as affective as the one I use to use that cost me 90.00 from Philosophy Miracle worker. 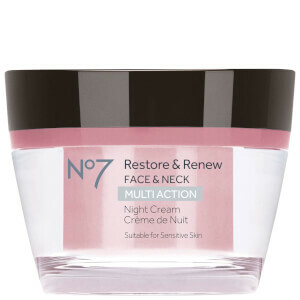 So glad I tried NO7 JUST AS GOOD AND SAVES ME MONEY! 5 STARS!